FA Cup fifth-round replays will be removed from this season’s competition, one season earlier than planned. The move is to help avoid fixture congestion after six Premier League clubs reached the Champions League and Europa League knockout stages. There is also a midweek round of Premier League fixtures scheduled towards the end of February and March. This season’s fifth round will remain as originally scheduled on the weekend of 16-17 February. It will move to midweek in 2019-20 – with no replays – as part of the mid-season player break agreed by the Football Association, Premier League and EFL in June. 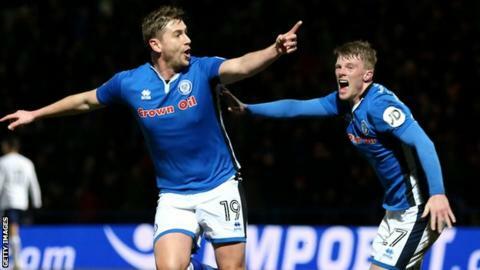 Last season, League One Rochdale earned a fifth-round replay at Wembley after drawing 2-2 with Tottenham thanks to Steve Davies’ dramatic injury-time equaliser. The prize fund for the competition was doubled at the beginning of the season and for this season only, if a fifth round tie ends in a draw after 90 minutes, the prize money of £360k will be split. Of that, 75% will be given to the winner of the tie and 25% to the loser. The FA Cup third round is scheduled for the weekend of Saturday, 5 January 2019.